Are you looking for camping menu ideas? 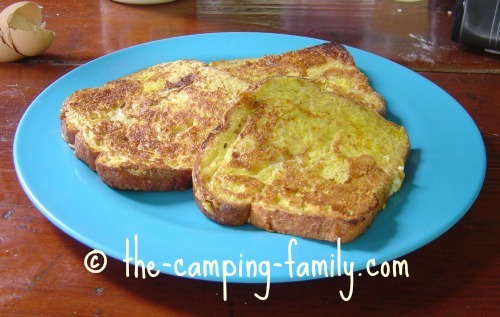 Here is a complete menu of healthy, easy and delicious food for your next family camping trip. Recipes in bold print are in my ebook, Good Camping Food. I don't know about your family, but we always eat a lot when we go camping. Being active in the fresh air all day works up an appetite! Bring more food than you think you'll need. You can always take any leftovers home with you. Packing healthy meals and snacks means that you can eat lots and still feel good! Use this menu as a starting point. Remove any items that you know your family won't eat, and add your own camping menu ideas. If you are short of time, substitute some prepared foods for the homemade suggestions. Instead of making Taco Salad, buy a salad from the deli. Instead of making Homemade Brownies, stop at the bakery. If you do have the time, use my recipes and make your food from scratch. You'll save money - and you'll have the added benefits of knowing exactly what is in your food. Homemade usually tastes better than store-bought, too! Just as everything tastes great when it is eaten outdoors, everything tastes even better when it's cooked over a campfire! Cooking over a fire makes great camping memories, too. Click here for campfire cooking tips. Be prepared to change your plans as needed. If you have leftover Salmon Chowder, heat it up for lunch on Friday and save the Citrus Black Bean Salad for another time. If it is raining on Tuesday, save your campfire supper for the next day (as long as you can keep the foil dinners cold until then). Heat up Sloppy Joes on the stove instead. Using a good camping food storage system means that your food will arrive at camp intact. You won't waste anything, and you'll be able to bring home any leftovers. 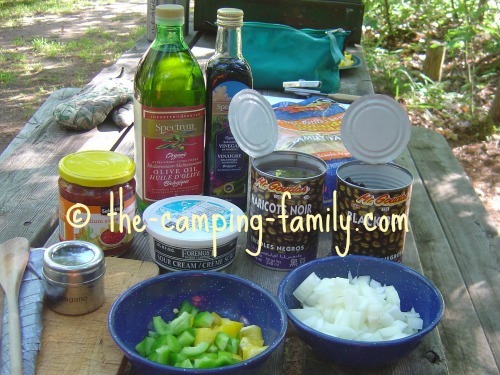 Here are my camping food storage suggestions. Are you going camping for the weekend? Here are camping menu ideas for a 3 day trip. Now that you have some great camping menu ideas, check out this page for more delicious camping food ideas. Good Camping Food is full of recipes, hints, shopping lists and worksheets that will make your food planning enjoyable and easy. Planning a camping trip can be fun - and easy! 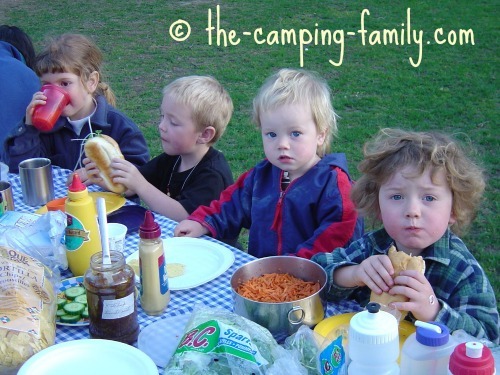 Visit The Camping Family home page for all the help you need to make your next trip and success.